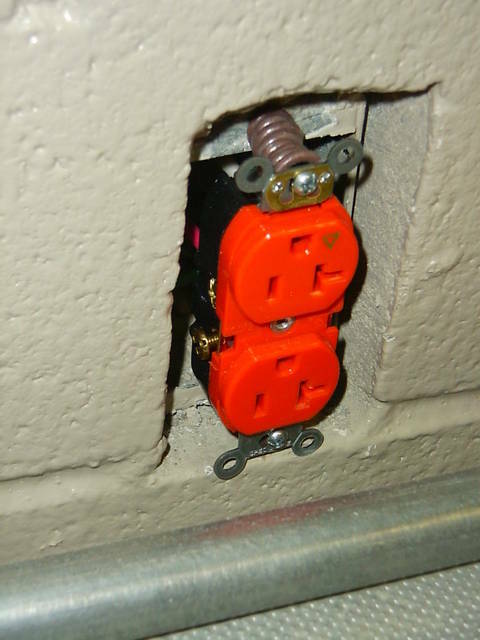 Attached are pictures of receptacles in boxes that are set too deep in block walls. Unfortunatley i've seen that many times. It's really hard to keep an eye on the block masons when they decide to pour their blocks. Ya thats common I have seen that a lot of times as well! 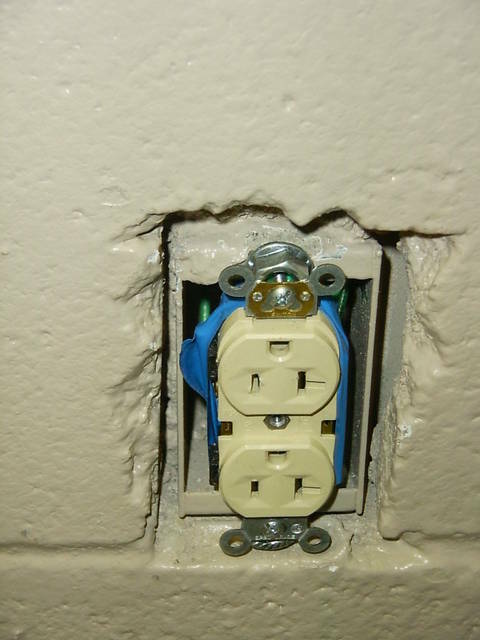 Looks like the receptacle in the second pic down has taken a bit of abuse also..
British metal boxes aka backboxes can be set in the wall way below the plaster line, it doesnt really matter. it isnt uncommon to see them 1" below the plaster line, you just use longer screws! 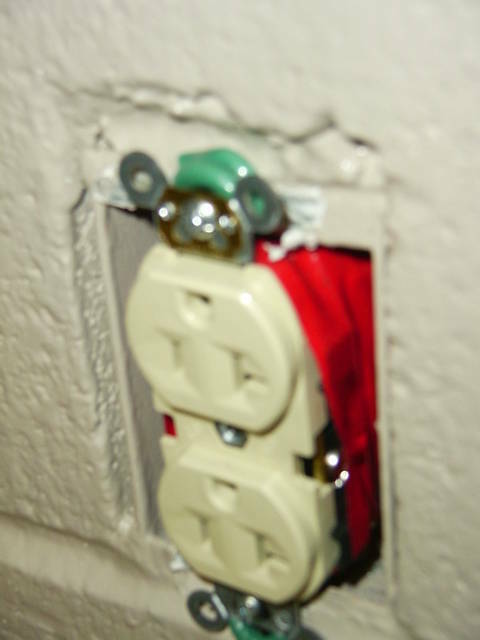 This is because our socket and lightswitch fronts are only in one piece so the screws clamp the accessory to the plaster. I will try to find a picture of one installed somewhere. Not best practice, no but in my experience it is difficult to get a plasterer to avoid filling a box completely! 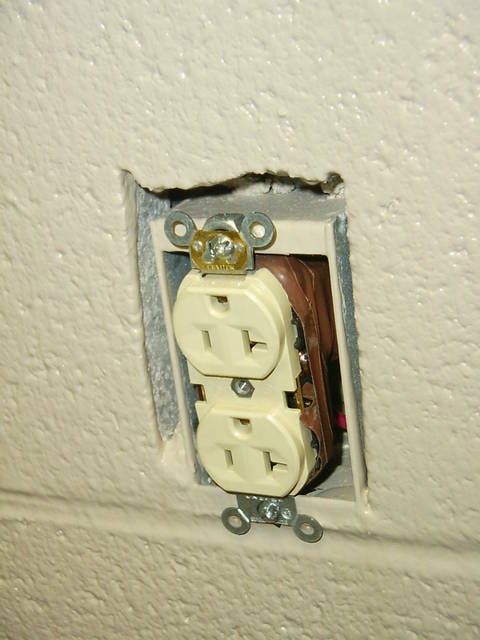 There is quite a bit of overlap on the socket front so you can get away with a few sins. 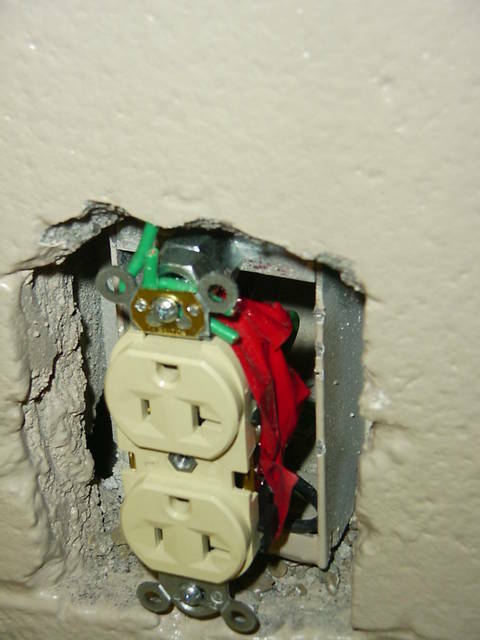 With care, you can chop a box in and not need to repair the existing plaster. Not saying they are perfect but seem to be designed around plaster and block walls compared to the ones in the above pictures which seem to be more suited to plasterboard walls. I would have a issue with some of the gaps around some of the boxes. 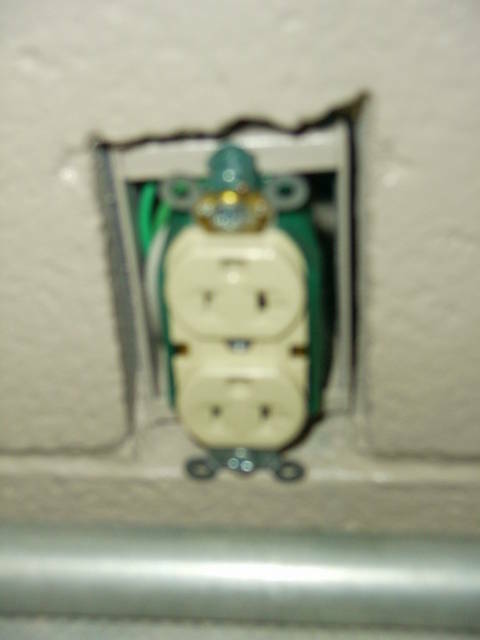 The THHN springs would not fly, but the 'nut' spacers may be OK. Wonder if the 'springs' compress upon insertion of a plug into the receptacle?? As an AHJ, When I'm on site, the 'rough' is usually stub-up conduit first, and it's extended as the block goes up. The next time I see this may be on final.I have a few random covers pulled. Depending what I see, they may all be required to be pulled, and corrections made. Personally I stuff newspaper or anything else available on site (think empty plaster or cement bags) into the boxes to keep them from being plastered. There are proper anti-mortar covers too.